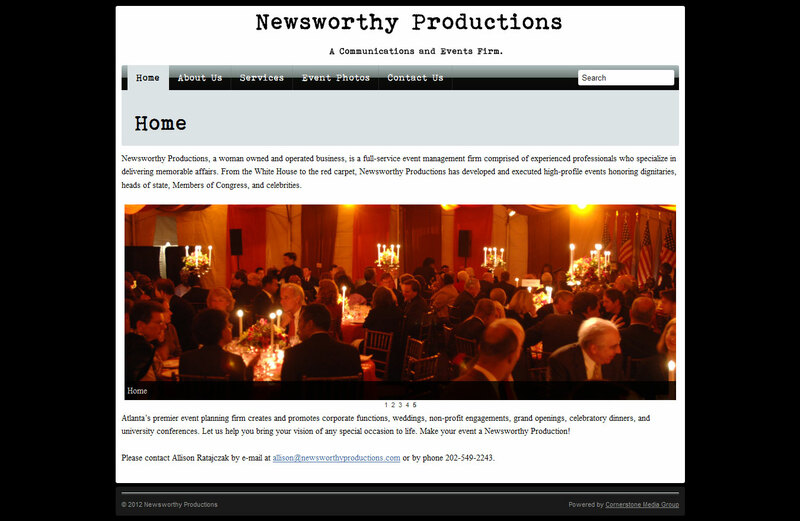 Newsworthy Productions is a firm that plans and hosts communications and events for all types of guests. Newsworthy is a CMS built using WordPress. The main purpose of the site was to establish Newsworthy’s online presence. I did the majority of the programming on this site (working from a design the client had wanted) whilst working for a web design company. The gallery page was designed by myself and I did all the styling and programming for it.